Four One Financial Services, also known as Mazima Retirement Plan, Uganda’s informal pension scheme emerged top of a competition by Catapult: Inclusion Africa, a Bootcamp on financial inclusion organized by the Luxembourg House of Financial Technology (LHoFT) Foundation. 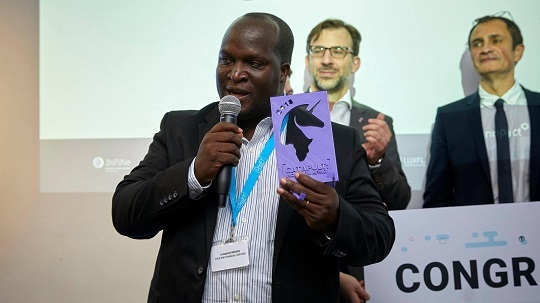 A total of 14 fintech startups were selected from 128 applicants and Four One Financial Services emerged top of the competition after its pioneer innovation in social security for Uganda’s citizens impressed the expert jury at a final pitch session and networking event in Luxembourg. Mr. Livingstone Mukasa, the CEO and co-founder of Four One Financial Services Limited, received the cash prize of US dollars 5,000.